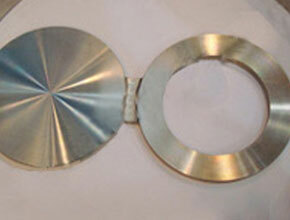 Citizen Metals is a leading manufacturer and exporter of Spectacle Blind Flanges that are being designed as per the national and international standard quality of raw materials and thus making sure of their durability and high quality. 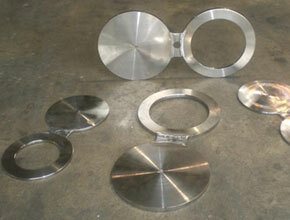 We offer these flanges at market leading prices. 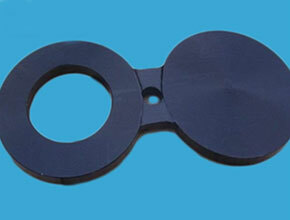 Spectacle Blind Flanges is a pressure preserving plate with one open end and one solid end connected in with a tie-bar or web. In standard method, the open end shapes seals between the two flanges and permits a regular flow of flowing all over the pipe work. 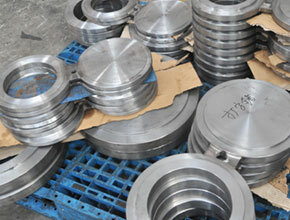 These flanges are being supplied in the course of suitable test certificates of standard raw materials and finished products. Alloy Steel Spectacle Blind Flanges, Duplex Steel Spectacle Blind Flanges, Nickel Alloy Spectacle Blind Flanges Suppliers In India.